Detroit Tigers manager Ron Gardenhire announced following Tuesday’s game that veteran slugger Miguel Cabrera would not return this season after he ruptured the biceps tendon in his left arm. During the third inning, Cabrera swung awkwardly and missed a slider thrown by Minnesota’s Jake Odorizzi. He immediately dropped his bat, grabbed his left biceps and walked off the field as trainers met him near the on-deck circle. Cabrera motioned to his left arm and continued into the Tigers clubhouse. Initially the team said the veteran had strained his left biceps tendon but an MRI later showed it ruptured. Season-ending surgery is scheduled for later this week. Nicholas Castellanos, one of Cabrera’s teammates, said he ran into the clubhouse to check on the veteran, who told him that he had felt a pop when he swung the bat. Castellanos said when Cabrera told him that, he knew things were not good. Players told the media they were stunned when they heard the news. 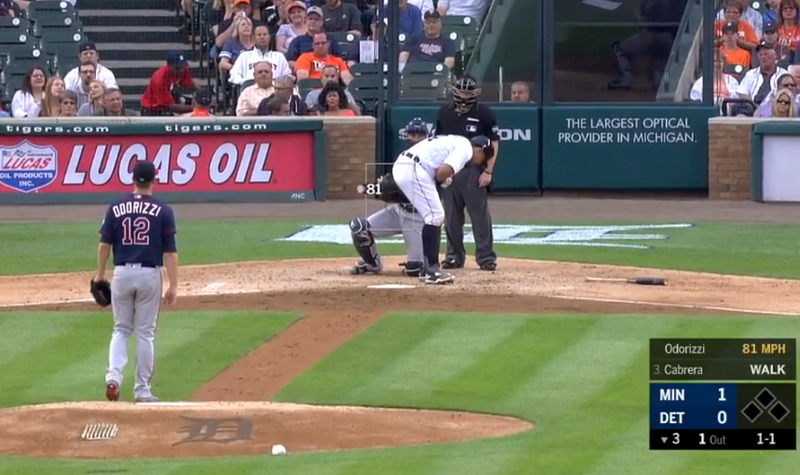 JaCoby Jones an outfielder for the club summed it by saying no one thinks something liked this would happen to Cabrera, especially while taking a swing. Over the last few seasons, Cabrera, who is 35, has played through several injuries to his lower body while winning a pair of MVP awards, the Triple Crown and four batting titles. However, in 2017 the injuries started to take their toll as he missed 32 games and his .249 batting average was his career worst. This season, he sat out three games due to spasms in the same tendon he ruptured on Tuesday and was out another 26 games due to a strained hamstring. He came back June 1, but was lost on Tuesday for the remainder of the season. This season, Cabrera was hitting .301 with three home runs and 22 RBIs through 38 games played. Not since 2003, his rookie season has Cabrera played less than 100 games. From 2003, the season he entered the majors, through the end of the 2016 season, Cabrera landed on the disabled list just once. With his injury on Tuesday, it will be the second time he has been on the DL this season and the fourth during his entire big league career. He is closing in on 500 home runs (465) for his career as well as 3,000 hits (2,676), which would put him on a very exclusive list that includes Hank Aaron, Willie Mays, Eddie Murray, Rafael, Palmeiro, Alex Rodriguez and Albert Pujols.